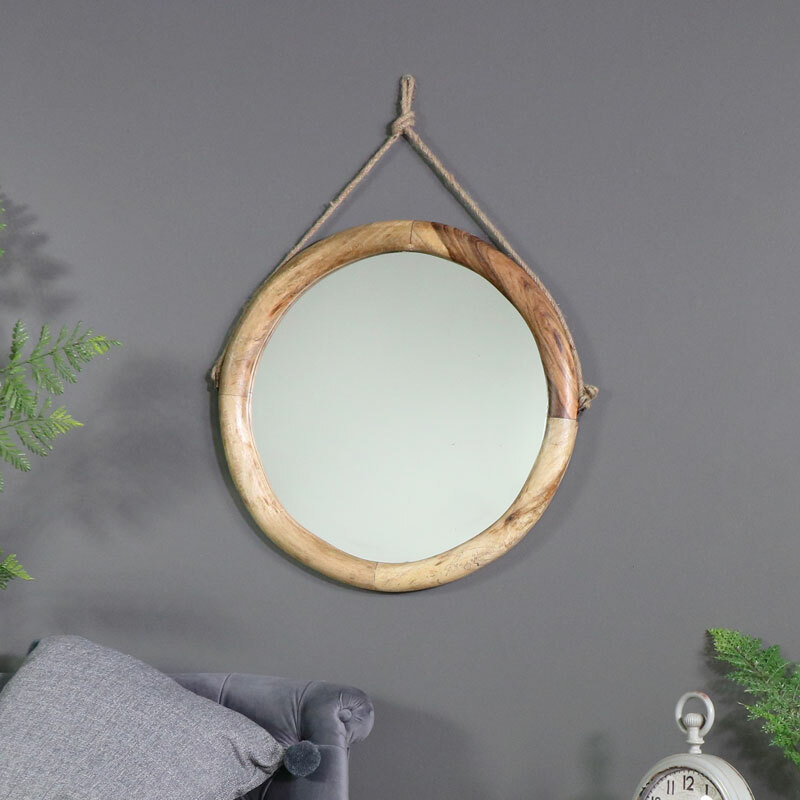 This wonderfully rustic mirror is a great addition to our growing range of mirrors. 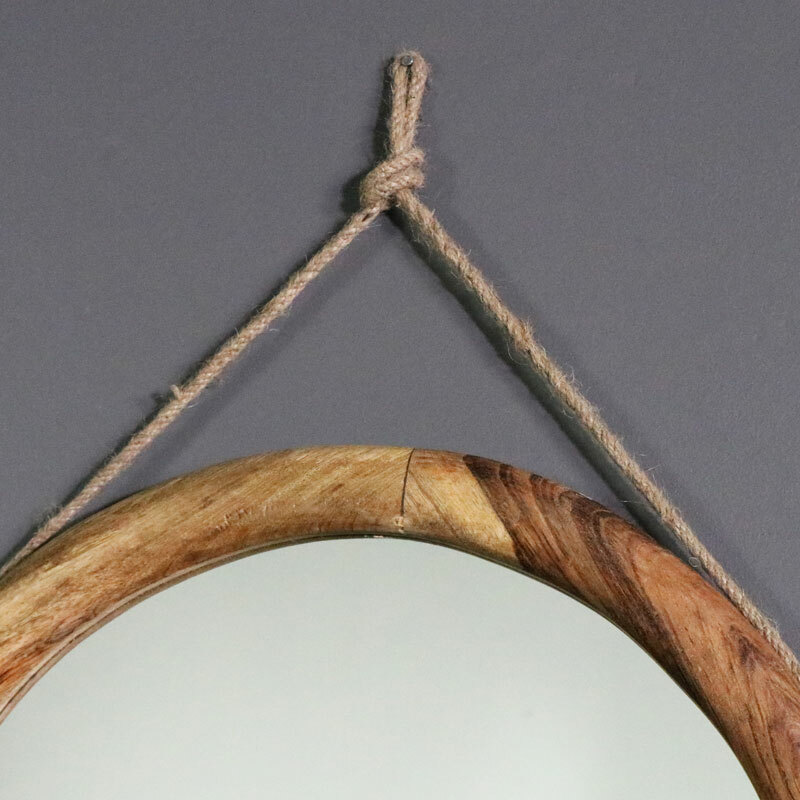 Hints of a nautical theme with the rope hanger. This would look great hung on the wall in the living room or hallway and will make a fantastic bathroom mirror. 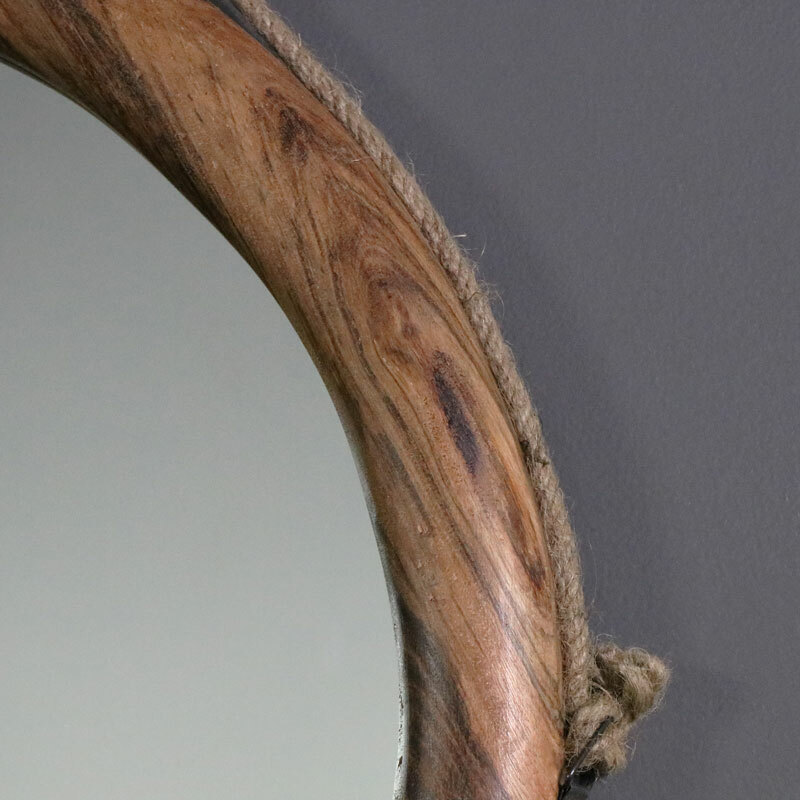 This is a mirror that will add a timeless look with its rustic charm. 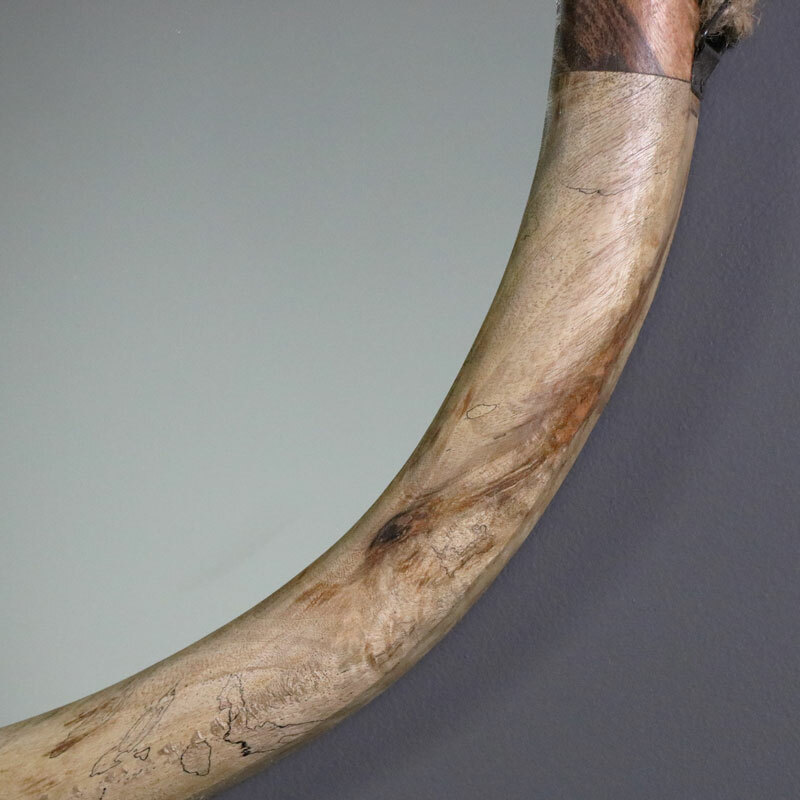 The natural finish on the frame highlights the grain of the wood. The look is completed with the rope hanger. Sturdy and solid design that is sure to add character to a home. Constructed with a rustic brown wooden frame. Easily wall mounted from the rope hanger.